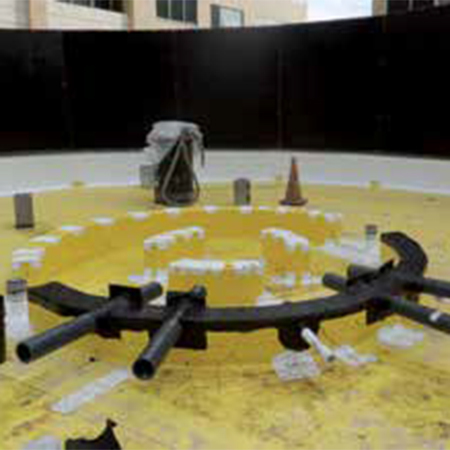 CETCO have installed their COREFLEX ® membrane system for Mercy Hospital in St Louis, Missouri. The aim was to remove existing overburden and expose the structural slab, maintaining waterproof integrity with a new waterproofing system and GREENSCAPE™. The existing membrane didn’t have to removed limiting the exposure of the underside occupied space to potential water ingress, making the COREFLEX ® membrane an ideal choice. 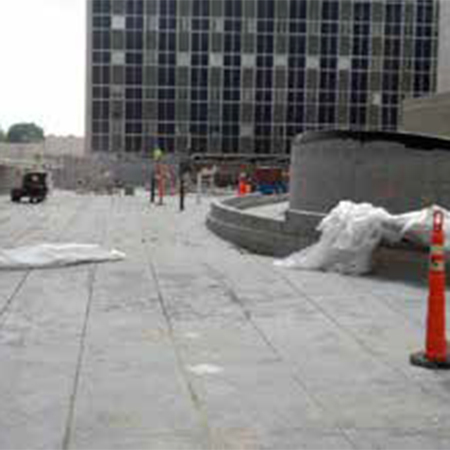 An exposed COREFLEX® finish can withstand the rigors of trade traffic during construction. 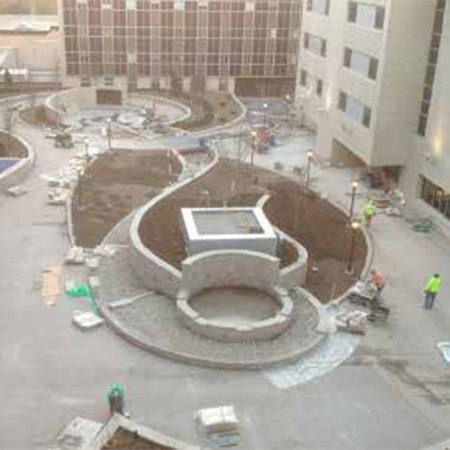 After a successful waterproofing installation, a GREENSCAPES™ Green Roof, hardscape and water features were installed to provide beneficial greenspace for the hospital.